Research Methods for Developmnent | Welcome to My Strokes ! Welcome to My Strokes ! It has been three months in Charutar Arogya mandal, Anand (Gujarat). Before entreating to my work life from student life I had many plans but Once I joined the organization I forgot all my plans as I engaged in day to day activities. Research is one of my interest area even though I do not have competency in research. I learn basics of social science research in Tata -Dhan Adcademy an this was the time where I was searching similar type of work which matches to my interest area. Anaemia is a condition in which the blood fails to supply the body tissue with sufficient amount of oxygen. This is either due to the lack of red blood cells or haemoglobin. For girls and boys adolescent is a period of physical and cognitive growth and development, because of menstruation cycle girls loses blood (iron) so girls need more iron and care during adolescent period. In the absence of proper care and diet girl suffers from deficiency of iron or anaemia which is not good for the rest of the life of adolescent girl. Jharkhand is a state where per capita income of household is Rs. 4161 (National Rural Health Mission 2006, p. 19), food security is a very big challenge. The household with lower socio-economic status will not get opportunity to consume iron rich, vitamin and protein rich food due to low purchasing power parity. In this case providing nutritious food to adolescent girls is extremely necessary to avoid the malnutrition anaemia. 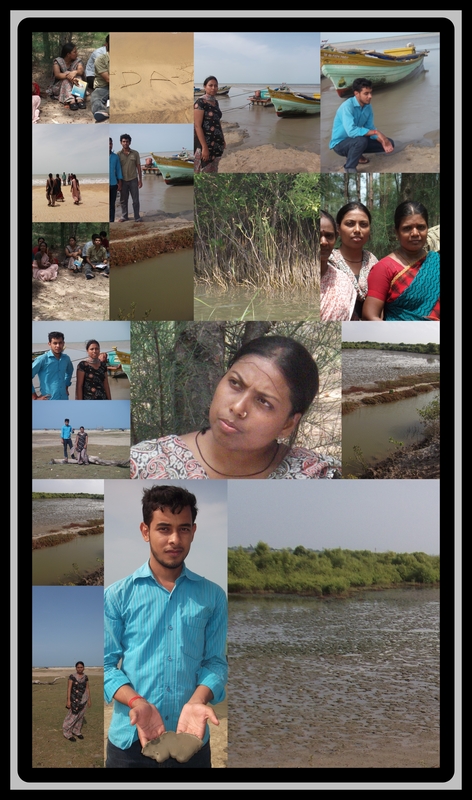 Yesterday I have visited Bay of Bengal, it was great experience for me. Seeing seashore, mangroves, sand dunes was full of curiosity. I have never seen these ecosystem in real indeed. I was having my own imagination of these ecosystem but when I saw these eco-system in reality, I feel a type of achievement as I was on seventh heaven. I got valuable information which I never got in books or any other type of source of information. We ( PDM 11) students got opportunity to talk with fisher man community and we also interected with the people whose village was safe even in Sunami. Now community have realized the importance of eco-system in their life. It was a good experience for me and movements in this visit are like memories for rest of my life. नटखट दिल और दिमाग की कहानी !